Making things look presentable or realistic is an important skill for many designers and engineers and they use a huge range of different skills and techniques to achieve the correct look. In this unit of learning, you will develop skills in creating attractive illustrations and renderings using bot manual techniques and 2D and 3D computer work. 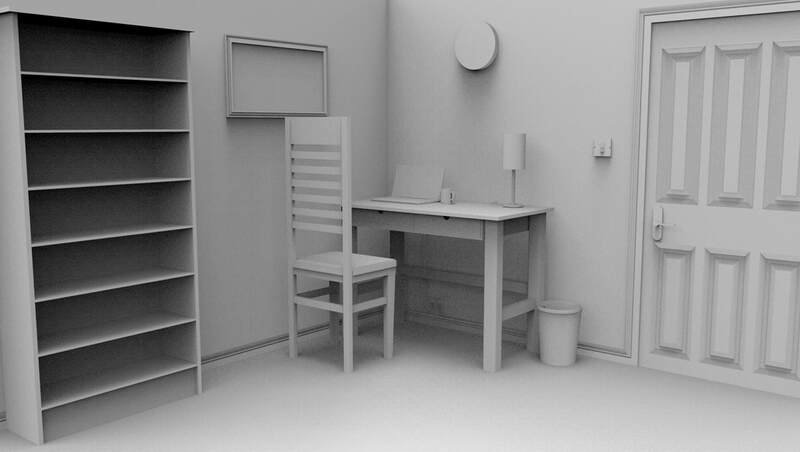 In this simple task, a simple scene has been created using 3D CAD. It has been saved in both IGES and STEP formats. You will quickly discover that the 3D models have been simply assembled - not realistically at all! This is fine - it is only for illustrative work. This is a technique used by designers to cut down on production time. You will learn about material and texture mapping, lighting, decalling and rendering a high quality output. You are tasked with creating a pleasant illustration to this simple scene. If you are feeling confident you can add further models to the scene to increase realism.